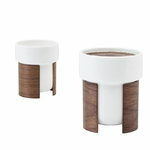 The 2,4 dl tea and coffee cups from Tonfisk Design’s Warm collection enchant with a smooth combination of porcelain and wood. 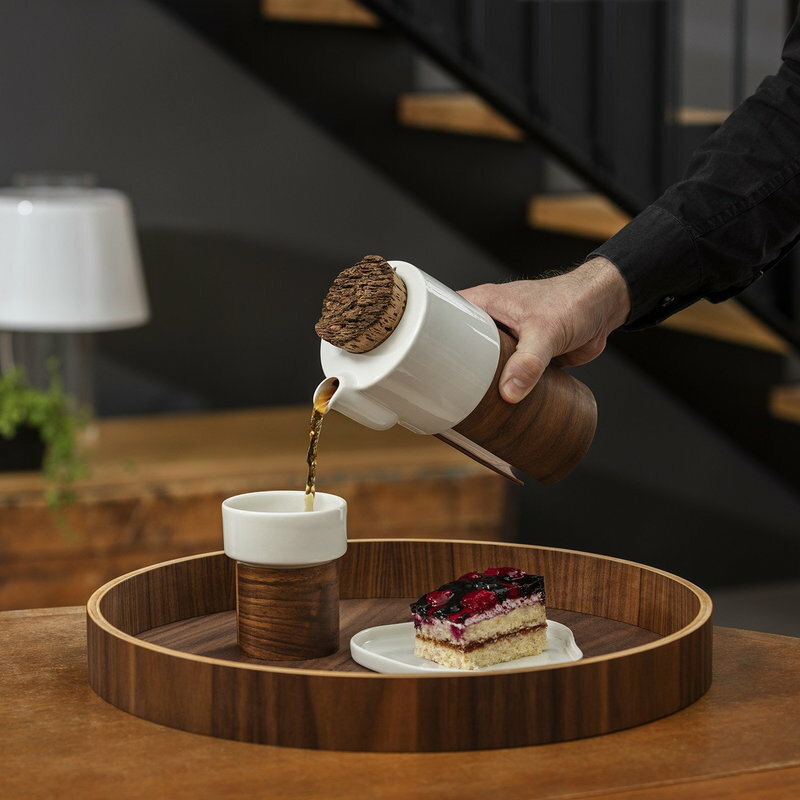 The stackable cups are dishwasher safe, and the removable wooden sleeve can be wiped with a damp cloth and oiled from time to time. The set includes two 2,4 dl cups. 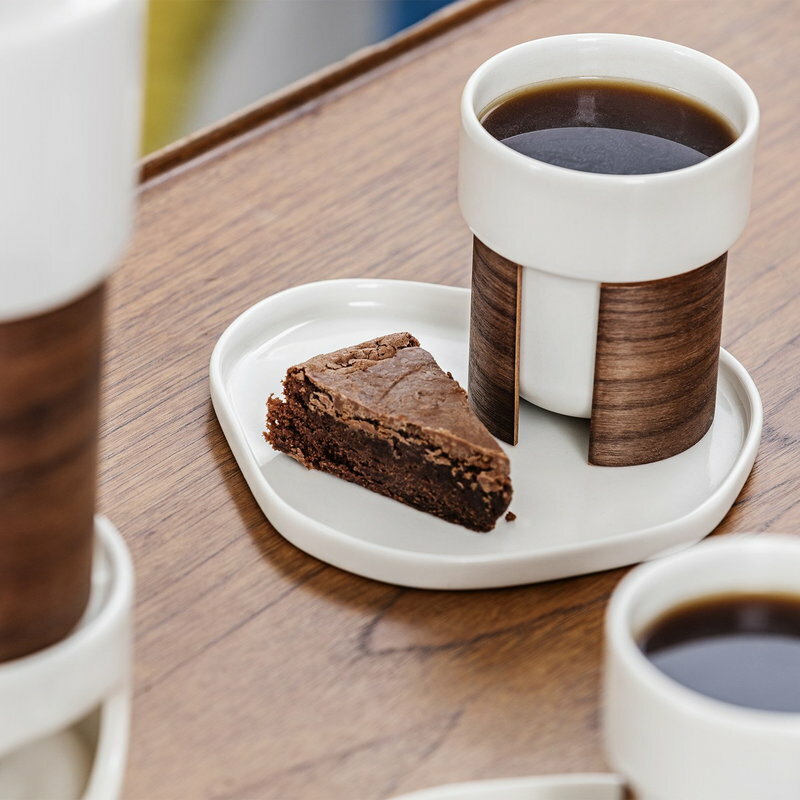 The Warm collection, designed by Brian Keaney from the Finnish ceramics brand Tonfisk Design, pairs porcelain with wood in a simple but stunning way. 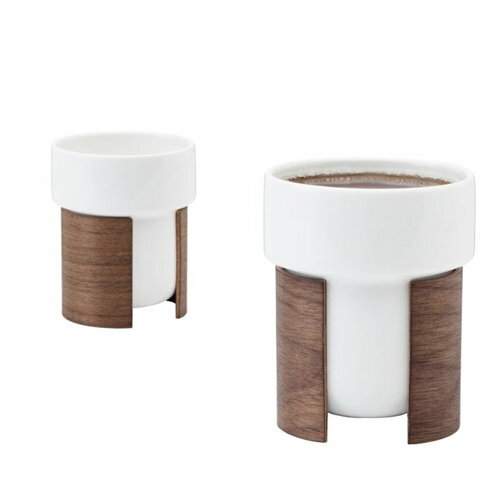 The Warm products are equipped with an oak or walnut sleeve, which protects hands from heat, insulates the hot beverage and gives the collection its characteristic, warm soul. 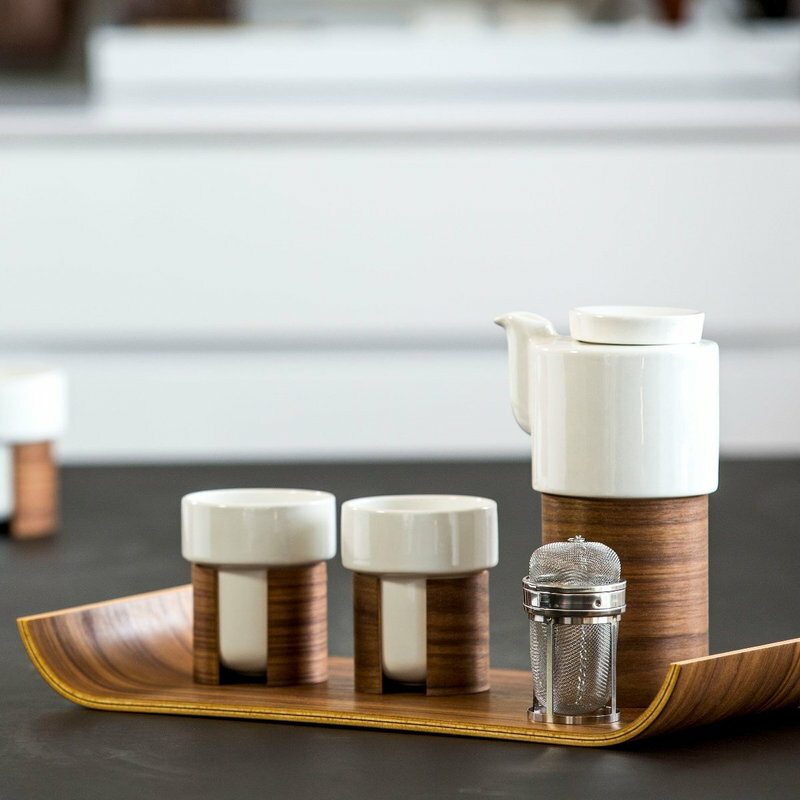 The Warm tableware has become a modern classic of Finnish design, listed by the Wallpaper magazine in 2006 as one of the best designs of the decade. Brian Keaney (b. 1974) is an Irish-born designer who lives in Finland. After graduating in industrial design from the National College of Art and Design in 1996, he moved to Finland for further studies. In Finland he has graduated from the University of Art and Design Helsinki and after graduating has decided to stay in Finland. In 1999, together with Tony Alfström, he founded the design company Tonfisk Design. Both designers had a strong belief that there existed a gap in the market for innovative tableware. It was this belief that became the cornerstone of their company. Tonfisk Design was founded to bring forward an ideology of creating new ideas without sacrificing values like clarity, functionality and personality. The company’s slogan “Form follows function doesn’t mean all objects have to look the same” expresses the company’s philosophy of offering functional but creative products. In the spring 2000 Tonfisk Design was launched internationally at the Ambiente Fair in Frankfurt. The Finnish design company immediately caused a stir among visitors and media and has since been featured extensively in the international press. 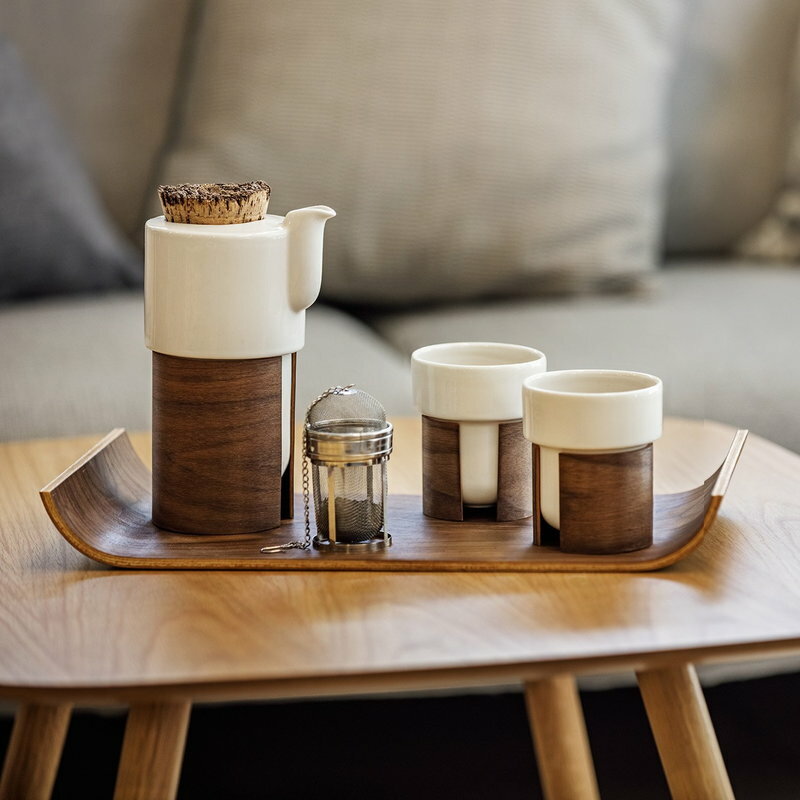 Tonfisk Design’s WARM coffee and tea set combining ceramics and wood became one of the year’s trend objects that year reaching design lovers through prominent interior design shops world wide. 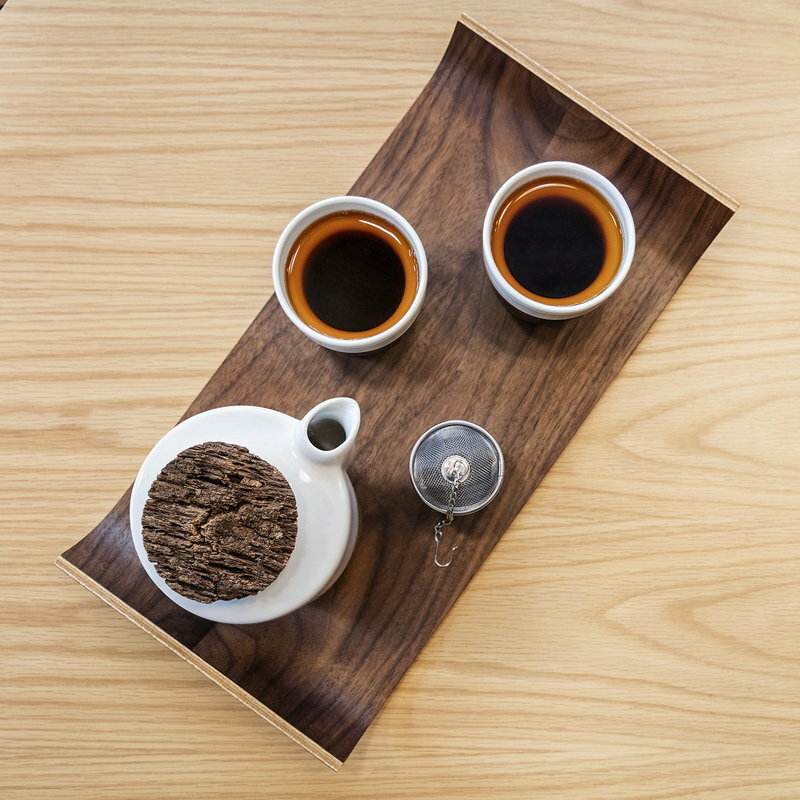 Other products designed by Brian Keaney are for example MAKU ceramic and wood serving plates and, designed together with Tony Alfström and Anu Wright, Director’s Cut fruit dish. 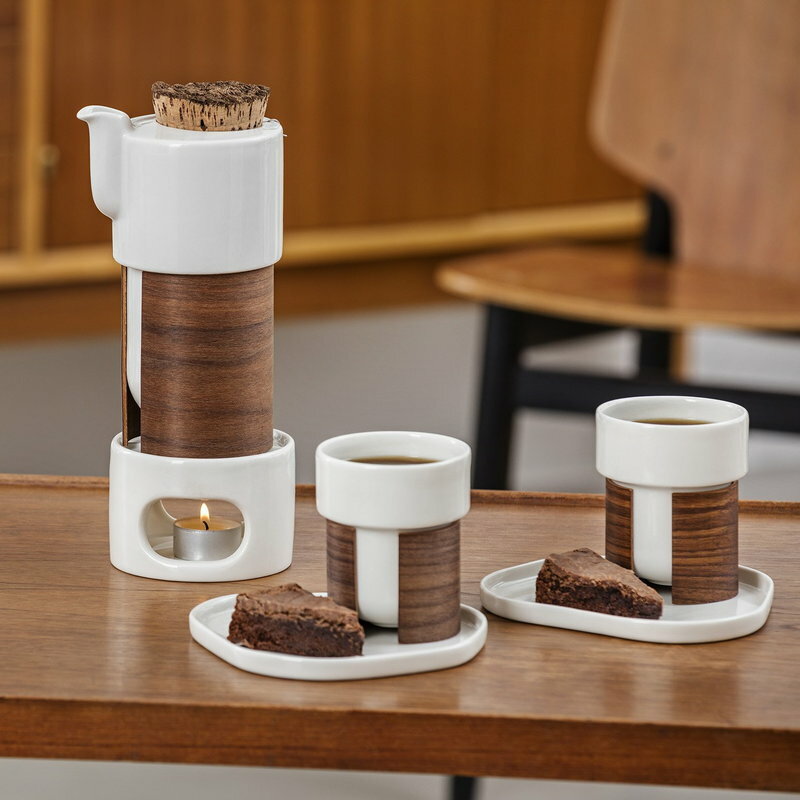 During the years since its launch at Ambiente 2000, Tonfisk Design has received both widespread publicity, enjoyed considerable recognition as a prominent Finnish design brand, and has been invited to participate in several design exhibitions in Finland and abroad. In 2007 Brian was awarded the Ilmari Tapiovaara Award – which every two years is given to a person considered to have done special and creative work for the promotion of design culture in their field –and also the Ornamo Design Prize.